Logan McKillop is a folk/roots singer-songwriter and storyteller from Oranole, Manitoba. Logan released his new album entitled, Anchorless in March 2019. He has written all songs on the CD. All song words are included in the CD Jacket. Equally skilled as a wordsmith and an astonishing guitarist, every song is an invitation into the best of both worlds. 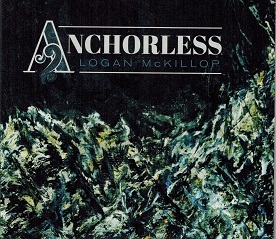 Logan's sophomore album, Anchorless, is a collection of songs that displayhis maturity as an artist. The CD is arranged with an all-star Manitoban roster of musicians, the 10 track album comes to life with the addition ofstring section, piano, drums. bass, pedal steel, vibraphone, clarinet, banjo, mandolin and a whole lot of harmony. The CD was co-produced by Logan McKillop and Scott Nolan. It was recorded at The Song Shop, Roseberry Records in Winnipeg, Manitoba and found soundtoronto in Toronto. 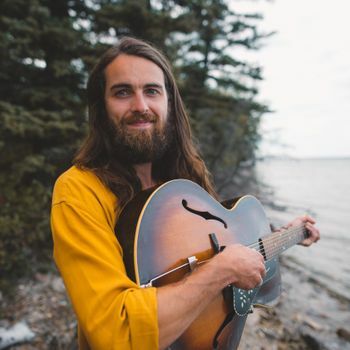 Logan has been a full-time touring musician for the last 4 years across Canada and Europe and received high praise for his debut album, Prairie Skyand with this new album will boost his travels across Canada in May 2019 andbeyond. Atlantic Seabreeze gives this album a 4 star rating out of a 5 star rating and we forsee nominations and awards for this album. For more information regarding Logan McKillop, refer to his website, address posted above.